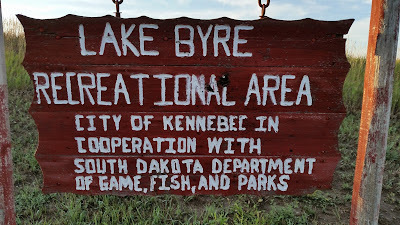 Continuing my trek out to Colorado I paused for three days at a really nice public campground a few miles off I-90 and northeast of the tiny town of Kennebec, South Dakota - Byre Lake. 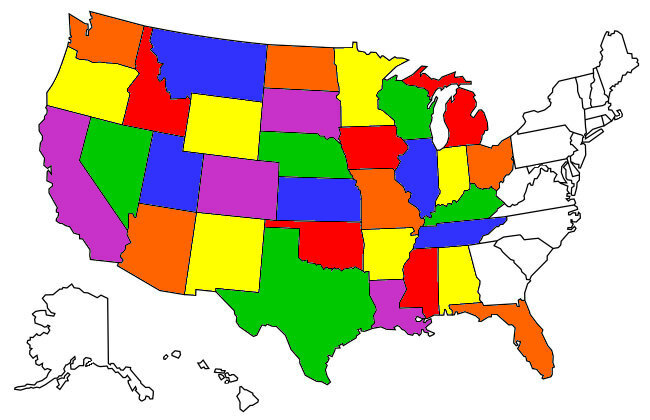 The word "recreational" JUST made it into it's space! Kennebec is a tiny rural town of 300 folks located on I-90. Byre Lake is a couple miles northeast of the town which is good because there's virtually no highway noise from I-90. The camping area is on the north side of the lake and is a sloping field that you just pick out a spot and there you are! As I had the place entirely to myself during the three middle of the weekdays I stayed I chose a spot pretty near the water. The Tank's site....right by the water. From the brown grass in the recreational area it was obvious that this part of South Dakota had suffered under a prolonged drought but Mother Nature remedied that the second night I was there with a massive thunderstorm with extremely high winds that had the Tank a-rockin' but fortunately there wasn't any hail to speak of so no damage to the Tank. The boat launch and fishing pier --nobody used them the whole time! 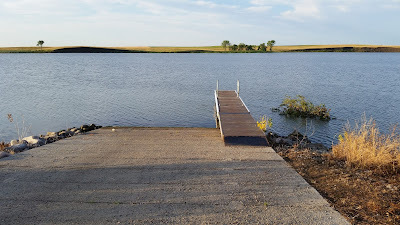 There were so many fish jumping in Lake Byre in the mornings I almost wished I'd paid for a South Dakota fishing stamp but states really tend to nail the out-of-stater with the stamp costs and unless I was going to stay somewhere for a month or so it's just to costly to own stamps from states that I'm just passing through. 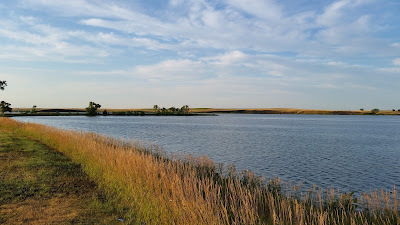 A little peninsula that goes out into the lake that you could easily fish from. The day after the storm it was still pretty dark and cloudy but I didn't have to worry about whether or not I could charge all my electronics by solar because there's one covered picnic area at the park that had a single working electrical outlet that I worked under while my stuff charged up. It is REALLY quiet at the rec area, which I loved, almost as much as having a nice sized lake all to myself! 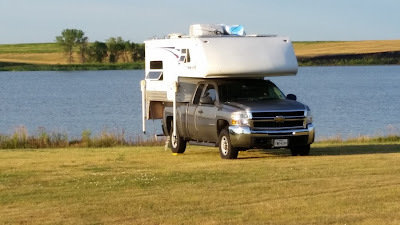 I'm pretty sure that if I had come there on a weekend there would have been other campers and locals but if you go there on a week day don't be surprised if you get a little lonely! 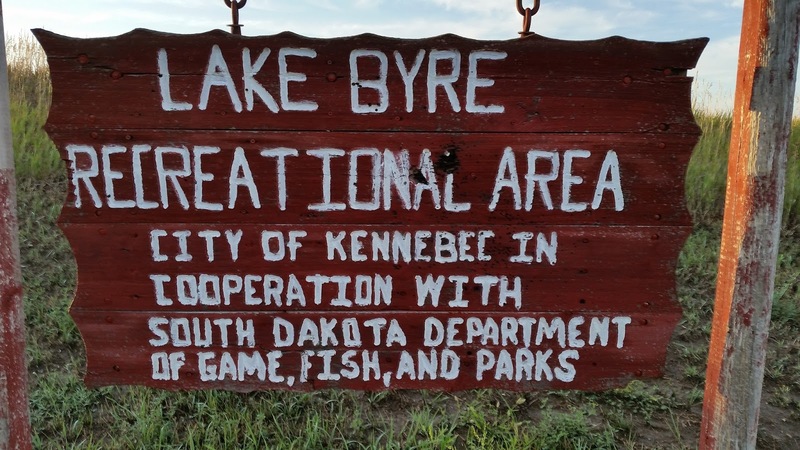 The Lake Byre Recreational Area definitely goes on my "Will Return" list.